For the first time in 73 years, Ash Wednesday is falling on Valentine's Day. When this occurred in 1945, the United States was still fighting World War II. 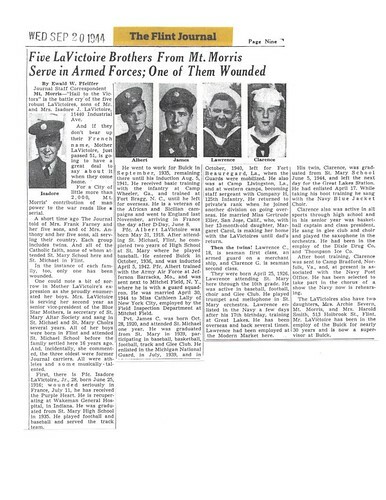 I am keeping in mind the somber hope and sacrifice my parents and grandparents must have experienced on that first day of Lent as the nation rationed its goods and waited for the men and women in our armed forces to come home. In most ways, we have it much easier this time around than they did! But the 1945 lovers had it much better off than the folks who lived during St. Valentine's time. 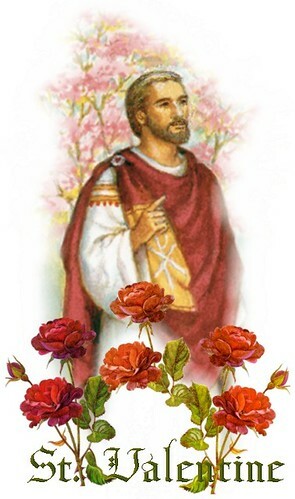 St. Valentine lived in the third century, during the reign of Emperor Claudius II. It seems the Emperor was having some difficulty recruiting and keeping men for his army, and so he banned marriages and engagements. Valentine, a Roman Catholic priest, was arrested, beaten and beheaded for performing wedding ceremonies in secret. February 14 is celebrated as his feast day because that is the day he was martyred! 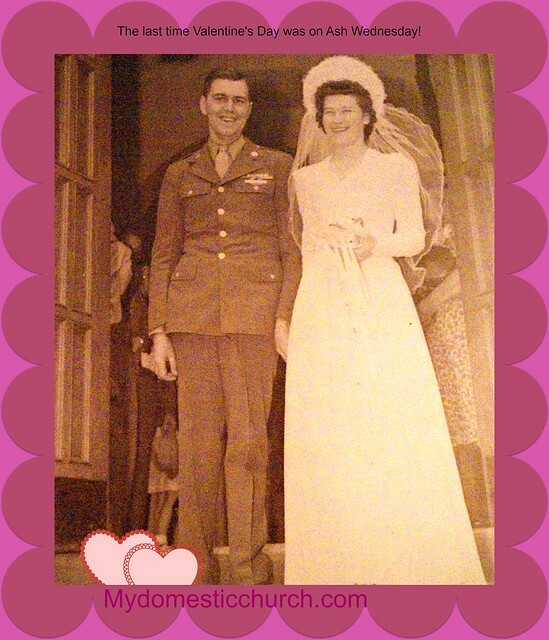 So maybe this very rare juxtaposition of Valentine's Day with Lent is very significant because it causes to see past the hearts, flowers and greeting cards and see the great importance of marriage - so important that it was worth a mighty sacrifice for some like Valentine- a sacrifice of his own life. So while we fast this Ash Wednesday/Valentine's Day, let us do it with the intention of offering our small sacrifice for our spouse, or for our children's future spouse, and for the sanctity of marriage to be preserved during this time when so many forces working to undermine that institution. Let us also remember the sacrifice of our priests, who like St. Valentine, suffer and sacrifice for all of us and minister to us with the sacraments every day of the year.